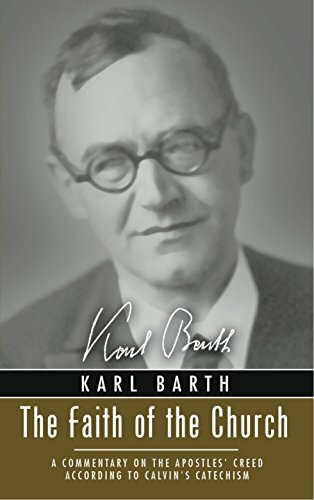 It is true that all of Barth's theology stems from reflection upon Jesus Christ. Attached to this is our absence of knowledge as creatures apart from revelation by our Creator. For Barth this applies to all things—including our own inherent sinfulness. Thinking about knowledge of sin this way reveals that even the law's conviction of sin is grace. It is predicated on the knowledge that God has given Himself for us to redeem us. For Barth, there is not an abstract general statement of man's sinfulness. So while these thoughts might disrupt a traditional Lutheran understanding of Law/Gospel, so also it speaks against legalistic tendencies in Reformed preaching. Barth rejects "knowledge of man in himself" and thus the attempt to turn a man's eyes inward on his own sinfulness. We do not prove man's sinfulness by looking at the disruptions of man's own actions in themselves. For in themselves, there is no judgment of the actions. The judgment of those actions as sin is decreed by God's revelation—particularly for Barth in the giving of Jesus Christ. None of this stands opposed to the Reformed Tradition. Yet sometimes, "original sin" or "total depravity" in the Reformed Tradition is espoused in a way that (apparently if not truly) considers man apart from God. They present a message that requests listeners to perform, as Barth rejects, an "examination of the human situation taken in itself." This is sometimes unintentionally presented as conviction from some neutral "law" or examples of worldly sinfulness. Unintentionally, these implicitly ignore that knowledge of sin is only ever a gift of revelation from God. Yes, we know mankind is sinful, but we do so because of God's gracious revelation to us. Understanding this, Barth the preacher rarely ever presents "law" before "gospel." For it is only in the grace of the gospel that one can respond to the former reality found in the law.